Well, Race #1 is in the books for 2015. 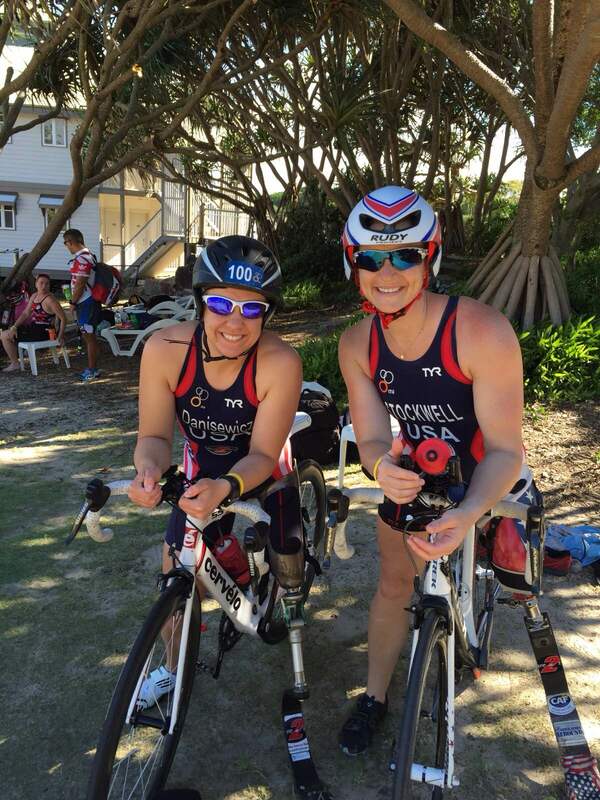 I have to say that a triathlon in Australia is certainly not a bad way to begin the season. If it seems like this race came out of nowhere, that’s because it did. 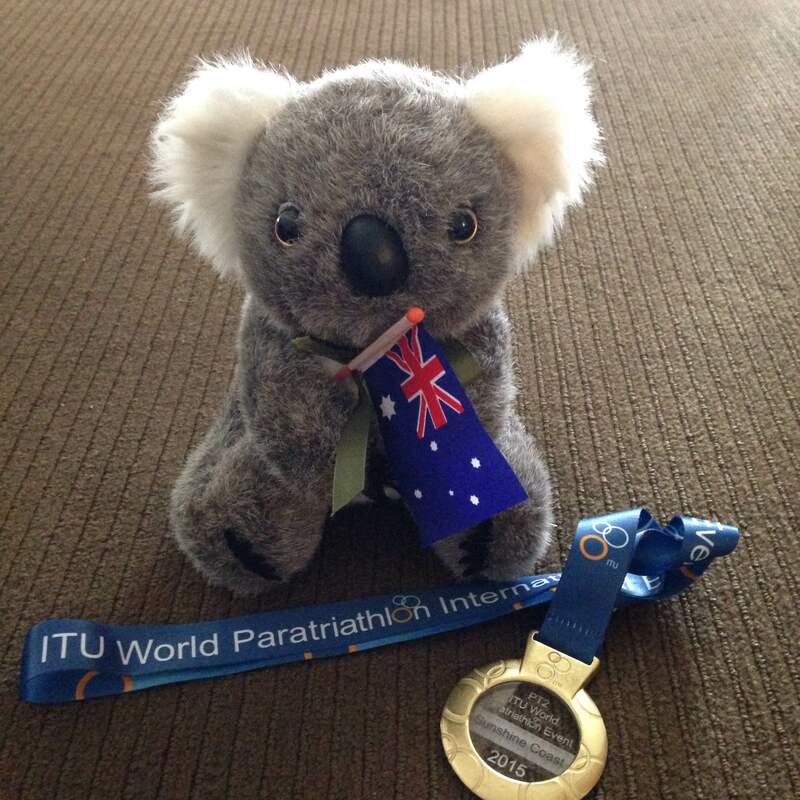 I decided to race ITU Sunshine Coast all of 35 days ago. 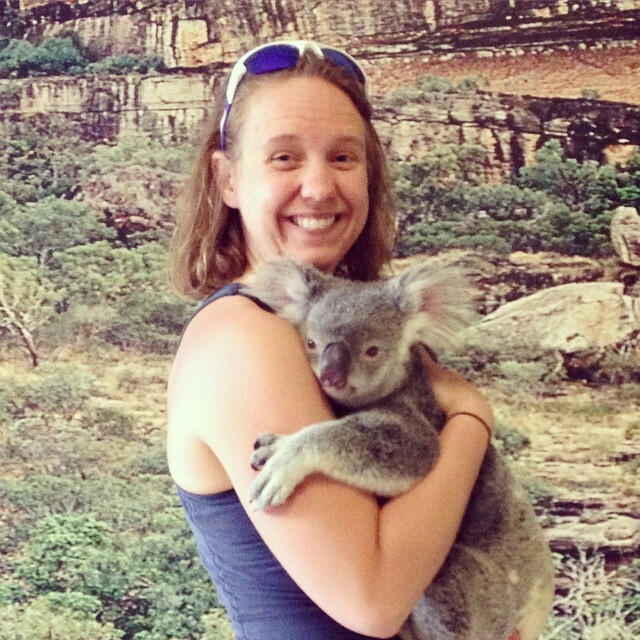 I was waiting until the start list was announced before deciding if I wanted to make the trek Down Under, but when I saw the five athletes that would be competing in my class, I decided to book the trip. There were some new competitors that I was interested in scoping out—two very promising looking athletes from Spain and Japan. It would also be a chance for me to race with my friend Melissa, who was making her comeback to triathlon after giving birth to a precious baby boy in November. The race was held in Sunshine Coast, about an hour north of Brisbane. Three of my dare2tri teammates and I left Chicago on Sunday to arrive on Tuesday for a Friday race. A “quick trip” to Australia, if you will. Nonetheless, we were able to pack some fun in before and after the race (which you are well aware of if you followed the Facebook posts). I went into the race with the mentality that it would be a shake-out race—a way of testing my current fitness and getting some racing experience before the season picked up. In theory this meant racing without the pressure that I usually put on myself during ITU events; but of course, when race day comes, removing the pressure is next to impossible. 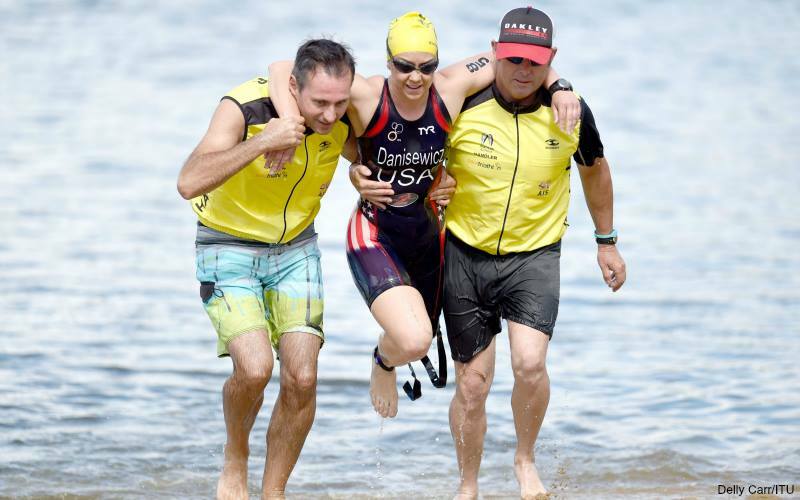 I came out of the water in fourth place – one place behind where I was expecting, but nothing too concerning. Third place was within close reach, and while the first two women had a decent lead on me in the swim, I was confident about catching them by the end of the bike. A half lap into the 5-lap course, I was feeling strong and ready to start making up some ground. As I came out of the first 180-degree turn, I downshifted in the rear ring to get some speed. But when I attempted to shift back up, the gear was stuck. My first reaction was panic. There was no way in hell I’d be able to hit the pace I needed for the next 18K if I couldn’t get out of the easiest gear. I desperately tried shifting my way out of this predicament, then tried swearing my way out. But it did not take long for me to realize that there was nothing that I was going to be able to do to make this bike work the way I wanted it to. So instead, I decided to work with what I had while focusing on the good. My bike was still ridable, and although I wouldn’t be able to get it to go as fast as I needed it to, it was still moving forward. Plus now I would be forced to execute some high cadence work (which I knew my coach would be thrilled about) as it was literally the only way I could move the bike faster. I continued on my ride at a steady tempo pace. After a few laps, I was disappointed to see that the gap between me and third place had grown much wider, while the lead women had maintained a solid half lap lead. At this point, I realized that reaching my goal of a first place finish was most likely not in the cards. Not only that, but I began to brace myself for the possibility of missing the podium altogether. I told myself that every race cannot be a perfect one, and that this particular day was supposed to be a shake-out race anyway. The idea of missing the podium was a difficult pill to swallow, but it was looking like I had no choice but to buck up and swallow it. But as I came into transition, my mentality shifted. 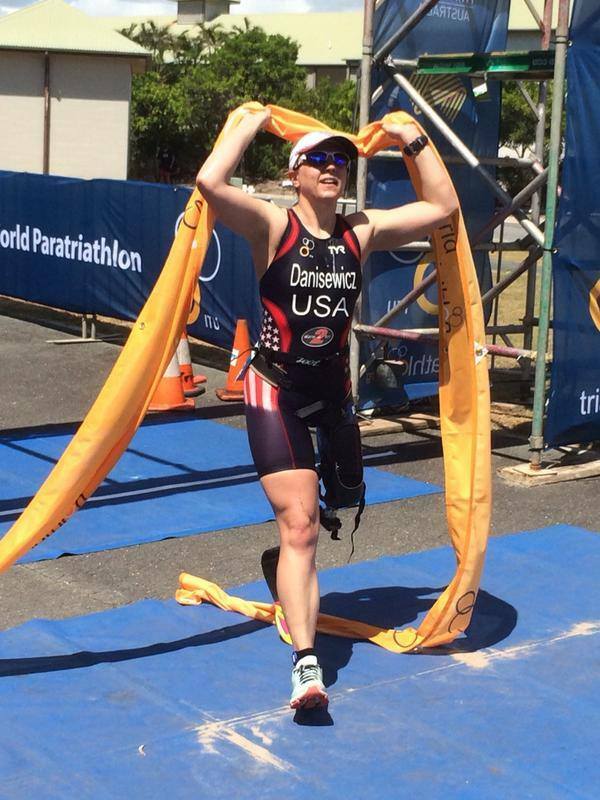 I saw the second and third place women making their way out of transition and realized I wasn’t as far off as I had originally thought. My competitive instincts took over, and I instantaneously went into hunting mode. As someone who thrives on the thrill of the hunt—especially on the run course—it was not a bad place to be. I took the first lap of the 3-lap course to settle in to my pace and work on closing the gap. My legs were feeling strong after the relatively low-key bike, and the heat and humidity that I had been concerned about all week did not seem to have much bearing on how I was feeling. Entering the second lap, I was within 200m of all three leaders and I knew it was time to make my move. I kicked it into high gear, and a half a lap later, I was in the lead. I held onto that lead for the rest of the run, and by the time I got to finish chute, I was overwhelmed with a mixture of shock, relief, and joy. Just an hour earlier, I thought I was going to be finishing last, and somehow, against all odds, I had turned the race around. In racing, there is a fine line between being delusional and being hopeful. Between being realistic and giving up. Between accepting the things you can’t control and settling for a result that’s less than what you deserve. I walked all of these lines at Sunshine Coast, and in doing so, I was realized just how difficult staying on the right side of the line can be. I was trying to do the mature thing by being at peace with an issue on the bike that was out of my control. But in doing so, I got dangerously close to sabotaging my own race, and settling for last place when I was capable of first. I think there is something to be said for having the awareness to know when to alter expectations or modify the game plan. Things happen in races all the time, and it takes guts to be able to remain calm and go with the flow. But going with the flow does not mean that you stop swimming and let the current do the work. You have to continue to swim your heart out, pushing forward while allowing the current to guide you. And with a little bit of luck, you may end up exactly where you needed to be. Which I guess leads me to the other valuable lesson that came out of Sunshine Coast: that the race is not over until the tape is broken. Whether you’re in first place or dead last, whether the odds are in your favor or stacked against you, it is impossible to assume that the outcome is predetermined. You never know what kind of day your competitor is having. You never know what other factors are playing out on the course. And you never know just how much you are capable of—that is, until the time comes that you need to truly bring it. With so many unknowns that you face from the time the gun goes off to the time the winner is declared, all you can really do is stay in the moment and keep fighting. All in all, Sunshine Coast was a smashing success. I was able to start my season on a high note, and hopefully get all the little bugs worked out before the real racing picks up. I got to share the podium with Melissa, who ran down the woman who had been leading the race since the swim, earning her a bronze medal. I experienced an exciting finish, and got a taste of the new level of competition that will be present this year. 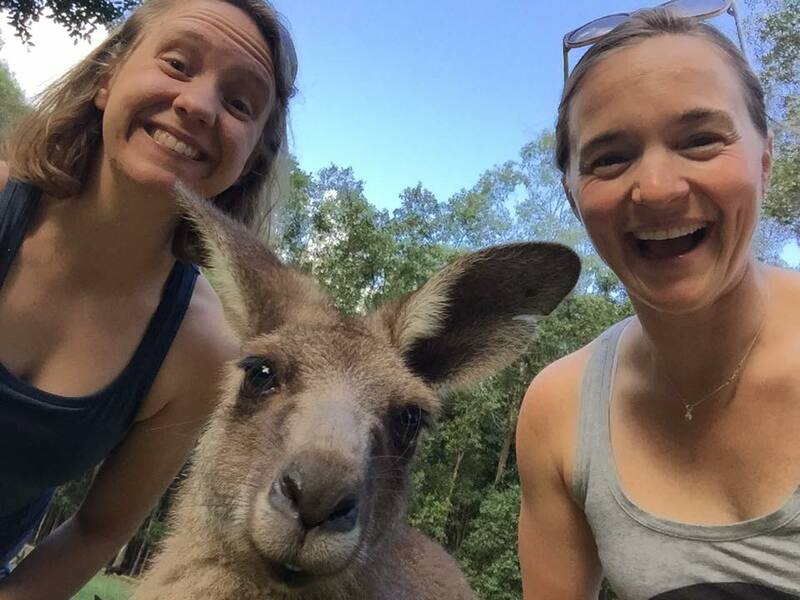 I had a ridiculous amount of fun with my USA teammates, met some amazing Aussies, held a koala, and took the greatest kangaroo selfie ever documented. Next on the docket is Continental Championships in Monterrey, Mexico. With seven weeks until race day, it’s back to training tomorrow. That is, once I sleep off this 30-hour travel day…. Can’t wait to read about you in the papers. Great read, very inspirational keep up the good work!